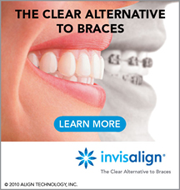 Orthodontic treatment is not limited to braces for teens. Good oral care begins in childhood, and many adults choose to have orthodontic treatment later in life due for a variety of reasons. At Angle Orthodontics, we treat patients of all ages. Treatments are not restricted to traditional metal braces anymore, either; we offer a number of options to our patients which we can discuss in your initial consultation. To discuss your specific situation and to find the treatment option that is best for you, contact us to set up your free consultation.